The Toyota Rav4 is a compact crossover SUV range that was launched in 1994 by the Japanese manufacturer. It is the first ever SUV model to be produced and was targeted for customers who desired the practicality of an SUV and efficiency of a compact car. Currently on its fifth generation, the range is well built and reliable. The models stylish looks make the range a desirable range, while the spacious and practical interior is ideal for large and small families. 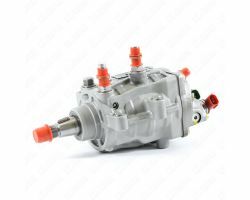 Available with an array of petrol and diesel engines, each are offered with their own individual power output. The 2.0 litre diesel engine and 2.2 litre D4-D diesel motor deliver great refinement and a smooth performance that is good to drive. In all, the Toyota Rav4 is a reliable range that offers a practical interior, clever engineering and strong diesel engines.